New Outpatient Clinic in Roswell! Did you know that Georgia Spine & Orthopaedics is now serving patients at our new outpatient client in Roswell? The Roswell clinic is a beautiful, convenient facility that offers free parking and easy accessibility. Initial appointment within 24-hour regardless of insurance or ability to pay. We really mean it when we say we’d love to help you get started on the right path. The always-available coffee, water, and snacks. It’s our “make yourself at home” message to you. Family-friendly. We welcome families and seek to treat you like a member of our family. Whether you grab a cup of coffee when you first come in or take it to go on your way out, we want you to feel welcome and at home. Free Wi-Fi and workstations. We get that your life doesn’t always slow down for your injury! Every patient has a personal Care Coordinator. Your Care Coordinator will be available to help you by setting up appointments, guiding you through the care process, making sure you know where to go, helping you find the right person to talk to if you have any issues with bills, introductions, or referrals, and in general be your advocate and go-to person. 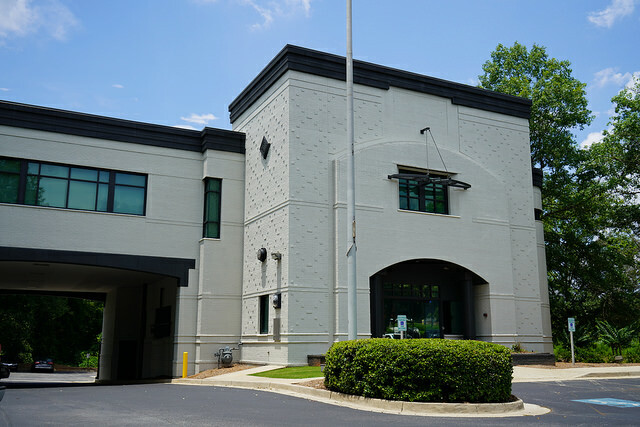 Convenient access to our Surgery Center of Roswell. Our board certified medical doctors find great success with non-invasive treatment options and actually operate on a very small percentage of their patients (Dr. Bendiks = operates on less than 1% of his patients – wow!). Accident experience. With over 15 years of experience in treating people with car accident and worker related injuries, our board certified physicians carefully document your injuries and treatment, plus work with all possible parties to make the process as smooth as possible. A goodbye goal. As much as we love seeing you, our goal is to get you to the point where you can say goodbye to us because you are feeling so much better! We are pleased provide a clinic that is comfortable and convenient for the whole family, and we are looking forward to welcoming you through our doors!